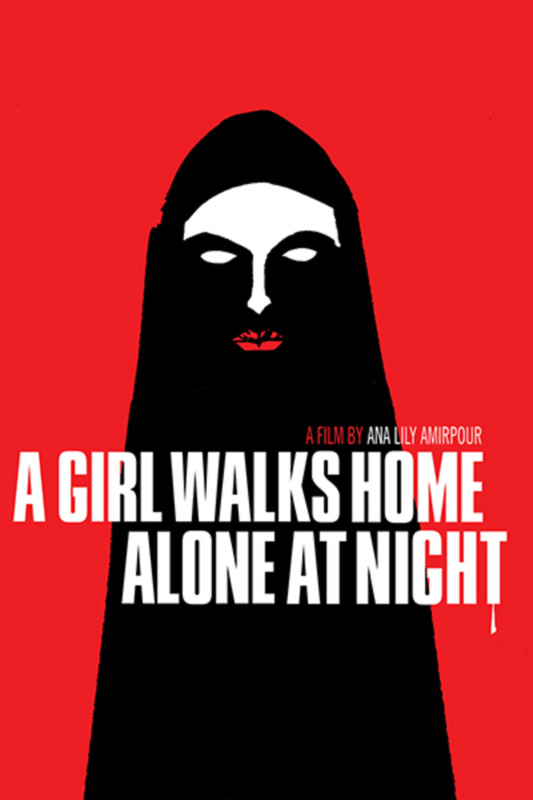 The first Iranian Vampire Western, Ana Lily Amirpour's debut feature basks in the sheer pleasure of pulp. A joyful mash-up of genre, archetype and iconography, its prolific influences span spaghetti westerns, graphic novels, horror films, and the Iranian New Wave. Amped by a mix of Iranian rock, techno and Morricone-inspired riffs, its airy, anamorphic, black-and-white aesthetic and artfully drawn-out scenes combine the simmering tension of Sergio Leone with the surrealism of David Lynch. Very strange I was surprised I liked it.... its starts out very foreign but was easy to follow. Excellent western vampire drama that is shot in gorgeous black and white. Definitely more artistic than scary. The black and white mixed with increasingly good music makes for a tasteful sense of unease. Beautiful camera work throughout. All in all a good watch. Sleek and elegant. Beautifully shot. Wistful and achingly haunting.